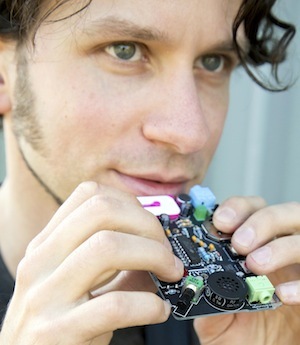 In this episode of Sound Design Live, I talk with musician and electronic instrument maker Moldover about the Kickstarter campaign for his new album. Moldover shares the mistakes he made with his first album and the important changes he is making this time around. We also discuss the new hardware he’s working on, in-ear monitors, and the importance of tragedy in art. TED talk about tragedy in art – What’s A Kinder Way To Frame Success?